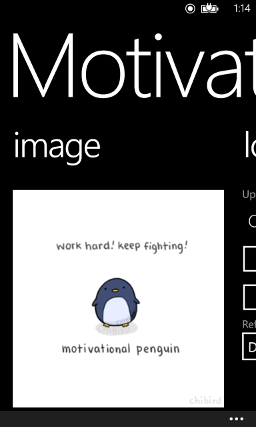 See an adorable motivational penguin (with live tile!) 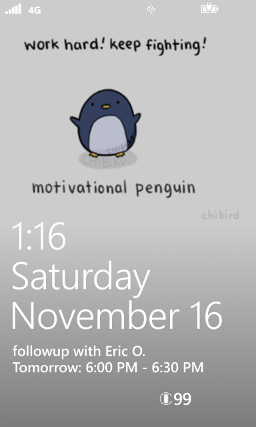 and update your lock screen with various motivational messages. See the original by chibird on tumblr. 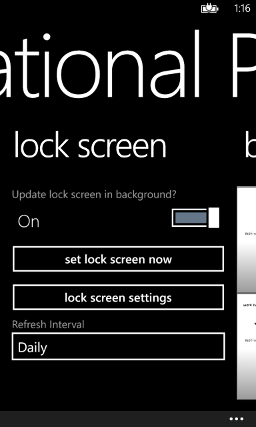 Free app - now available on the Windows Phone Store!